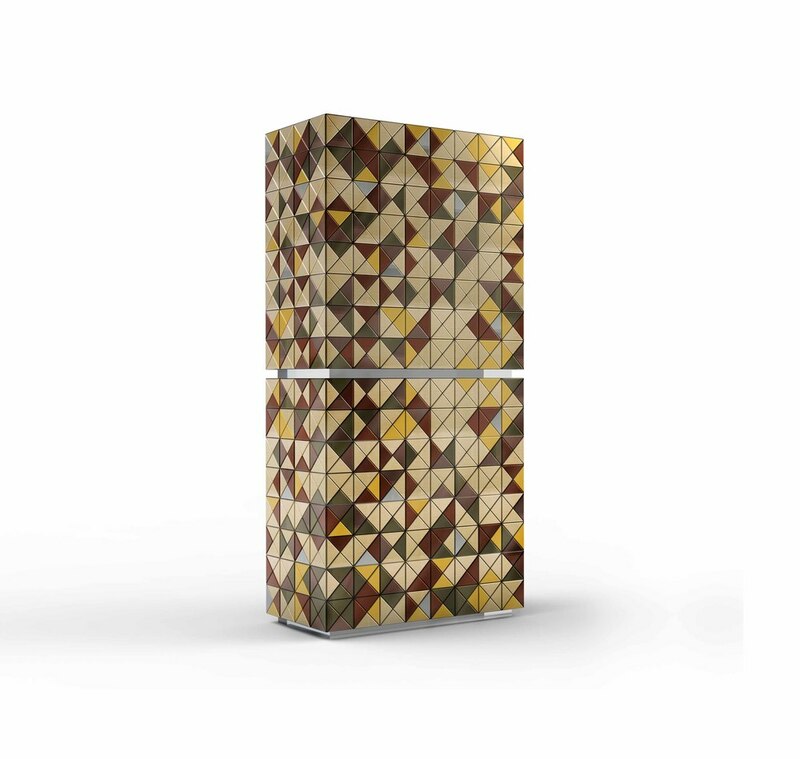 Pixel Anodized is composed by 1664 triangles made from anodized aluminum. The inside of this art deco style cabinet uses a material and technique-aged mirror and "capitone". This limited edition piece can be found on Boca Do Lobo. Inspired and handcrafted by a team in Portugal, Boca Do Lobo offers not only visually stunning products, but works of art that truly evoke emotion.